Another all too brief stay at the 'home-from-home' experience of the Alto. As always, outstanding service from your friendly staff. Special thanks to Rebecca for making dinner so much fun. See you all soon! I have already expressed our thanks in an email, at the warm reception and great service we received from all staff at Alto. Front of house, dining, breakfast and housekeeping staff are all a credit to the company. We actually ended up staying for 2 nights, and will in future consider Alto " home " when next in Melbourne. Extremely helpful and friendly staffs. Very convenient location. When visiting Melbourne the Alto Hotel On Bourke is an excellent base. This was our second stay at Alto and again, it was excellent. Beds are very comfortable and the location is just the best if you are heading to Etihad for the footy. We didn't have breakfast this time so can't comment but I did snag one of the complimentary apples from the lobby! Our king room was spacious and quiet and the in room kitchenette was really useful for making a quick snack. We will definitely stay at The Alto again and recommend it to our friends. I enjoyed my stay at Alto, there is nothing bad I can say about it. Was happy with the room. Very much enjoyed the stay. Friendly and helpful staff, comfortable room, incomparable location. Decent Internet service. Great breakfast, enjoyable lounge. Fantastic stay once again. My favourite hotel in Melbourne. Thanks to all. Amazing staff, service, location. Would stay there again without hesitation. 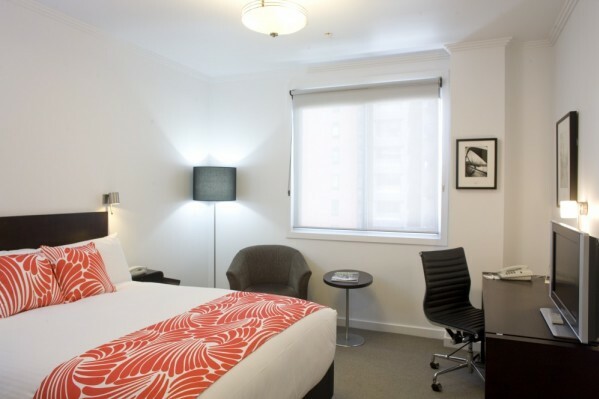 Our entire stay in Melbourne exceeded our expectations and the comfort and location of Alto played a big part in that. Our late night jaunts around the city for hot chocolate were only possible due to the tram stop outside the door. Location is perfect building-wise, but the room that was assigned to me has no view and it's opposite an office space, hence I can't even open my blinds in the morning as there might be someone across the window. The Alto is a very comfortable hotel, friendly staff and great location. The bed was so comfy.. Will definitely book again if i need to stay in town. Very nice boutique hotel and we had a great apartment. Staff friendly and professional. very pleasant stay, the staff were extremely helpful. Nothing I can say about the Alto that I haven't said before. Love staying here, think it's been about 10 times since August 2007. Have already booked in for 2 night in June. See you then. Perfect. We chose it for the position when we stayed last year and we were pleasantly surprised by everything so we chose to come back. Clean and quiet. Good location,friendly staff. Would recommend to friends. Would stay here again. Great stay. The staff was extremely helpful and room was very nice. Very comfortable rooms however the bar fridge items strung up make it a little tacky. This wasn't so evident on previous visits. Access to the lounge area for a cuppa by the fire is a good way to finish a day. Great! Friendly helpful staff, a very comfortable room (especially bed) and delicious breakfasts! Convinient location with small but comfortable room. Breakfast was great with well cooked meal. No problems with wifi. This is my third visit to the Alto. It is clean, quiet, comfortable and conveniently located. I appreciate the efforts made to lessen the environmental impact of my stay as well as welcoming touches like chocolates. I love the free apples! Handy location near the tram. Some noise from the street but expected in big city. Room was comfortable with everything we needed. Nice hot chocolates from the machine in foyer. I was looking for a place to rest while here for a weekend worth of lectures. The room rate offered a full breakfast and it was delicious with the staff very friendly. The room comes with your own Foxtel IQ box with every channel, allowing you to record shows for you to watch later. A great treat. Close to Ethiad stadium and Spencer St station so works well with the shuttle to-from the airport. Outstanding free WIFI. Comfortable bed. Always a pleasure to stay here , excellent value , with super friendly and helpful staff .